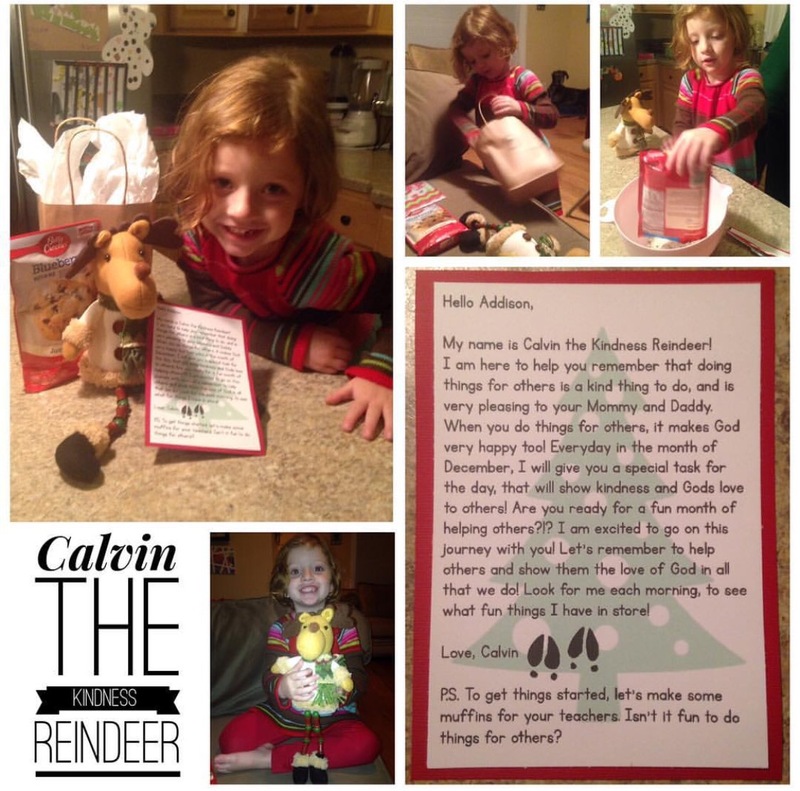 My name is Calvin the Kindness Reindeer! I am here to help you remember that doing things for others is a kind thing to do, and is very pleasing to your Mommy and Daddy. When you do things for others, it makes God very happy too. Everyday in the month of December, I will give you a special task for the day, that will show kindness and God’s love to others. Are you ready for a fun month of helping others?!? I am excited to go on this journey with you. Let’s remember to help others and show them the love of God in all that we do. Look for me each morning, to see what fun things I have in store! P.S. To get things started, let’s make some muffins for your teachers!